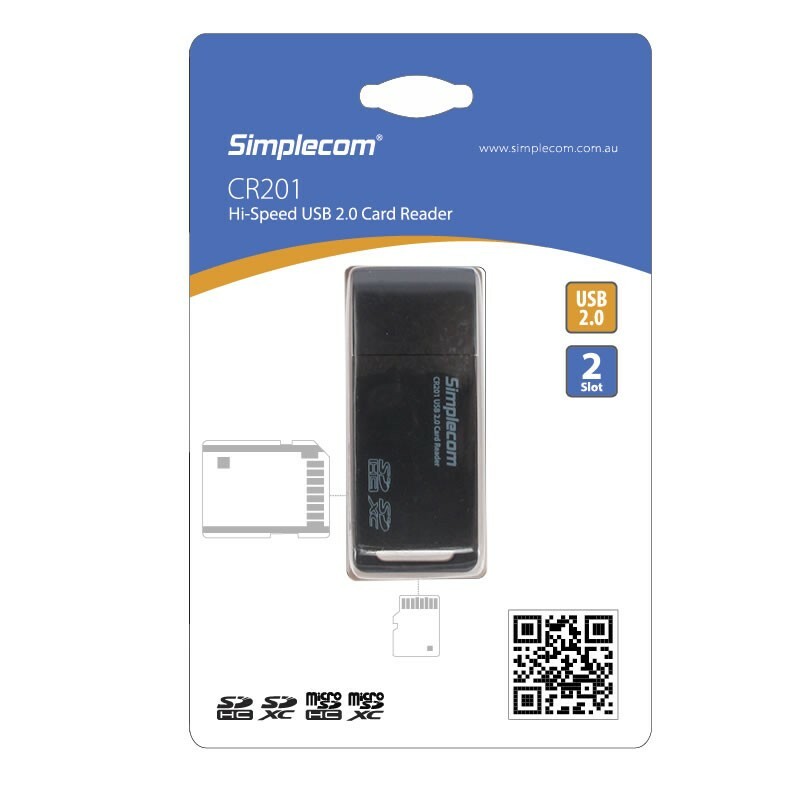 Compact and portable, Simplecom CR201 is extremely compact but big on compatibility within the SD memory card family. The unit supports the latest in memory card format, included SDHC and SDXC. This is particularly useful in many applications, including digital cameras, video cameras, mobile phones, MP3, and other mobile devices. 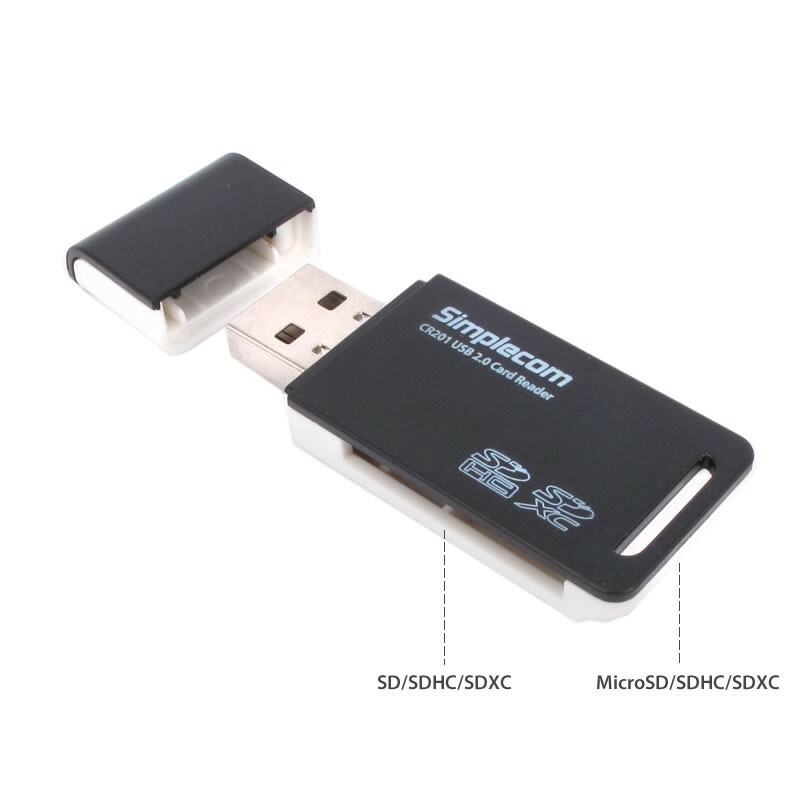 This item is an ideal way to bridge the gap between your desktop computer and other CE products. Just plug it into your computer's USB port and you are ready to go.